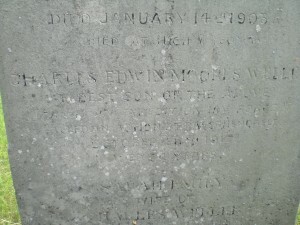 William Edward Davis Wellbelove, is commemorated on a family memorial. Grave number 8790. 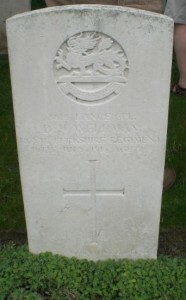 He was related to Joseph Davis AIF, who is commemorated on the same headstone. The grave number is 8790. The Berkshire Family History classification if 40C11. William was the eldest son of William Edward and Dora Wellbelove, of 30, Crescent Road, Reading. He was an old boy of the Reading Blue Coat School. 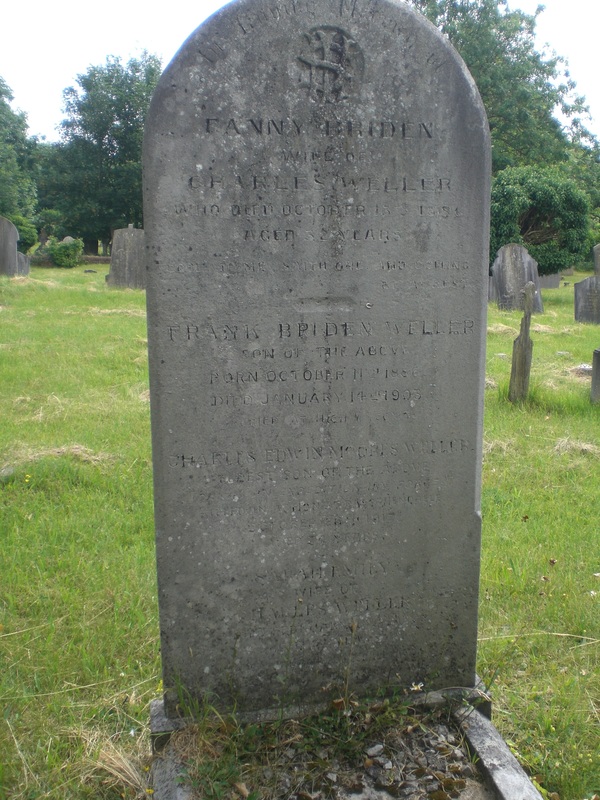 William died in Number 17 General Hospital Alexandria, after contracting malaria and developing pneumonia. He died on the 29th October 1918, aged 23. He is buried in the Alexandria (Hadra) War Memorial Cemetery, Egypt. Location E.99. Alexandria was a great Anglo-French base camp and hospital centre. Casualties were brought to Alexandria from the islands and men came to the camps in Alexandria when on leave from campaigns in the desert. 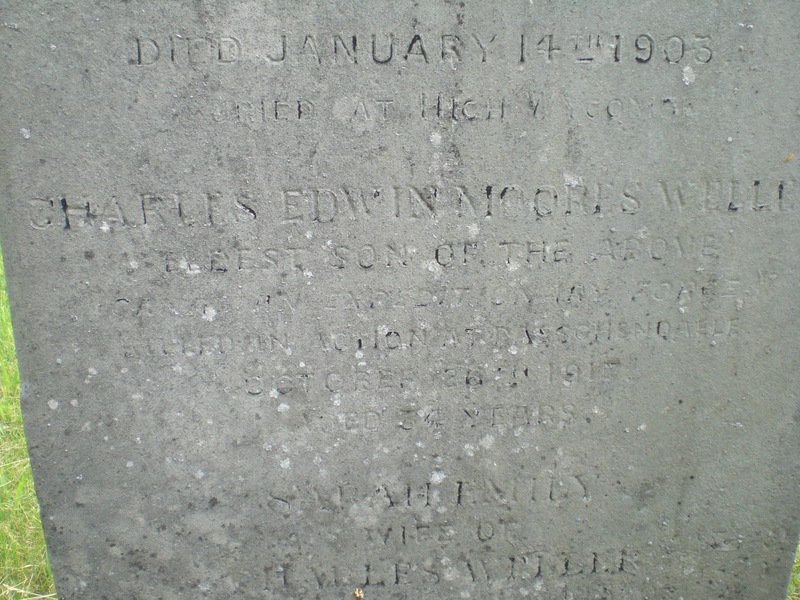 Charles Edwin Moores Weller was the son of Charles Weller, of 127, Queens Road, Reading. 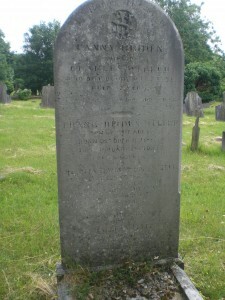 He is commemorated on the headstone of the grave of Fanny Briden and Charles Weller. Grave number 8711. Charles was the eldest son of this marriage. The inscription, which is now very feint, states that he was killed in action at Passchendaele on 26th October 1917, aged 37. The 26th October marked what was officially designated the 2nd Battle of Passchendaele. The action began at 5.40 in the morning. British divisions were either side of the Menin Road. Along the Passchendaele ridge and the Passchendaele to Broodseinde road were the 46th Canadians and the 18th Australian Battalions. They moved forward in the early mist and later steady rain. The Canadians and Australians took there objectives. However, the Canadians paid heavily with 70% casualties and because two different units had been used in the capture of Decline Copse, and each left it to the other unit to consolidate, the Germans were able to mount a successful counter attack and they were not ejected for a further 24 hours. Charles Weller was first reported missing and his father had many appeals for information published in local papers, it was not until March 1918 that he was confirmed as killed. Charles Weller’s body was lost and therefore his name was commemorated on the Menin Gate Memorial to the Missing, Panels 18-26-28. His name is listed in the Canadian Book of Remembrance. Corporal L.V. Wellman, Vic, is buried in grave number 13847 which is marked by a CWGC war pattern headstone. He was one of three brothers to serve in the war. His brother Jack, was killed in action July 16th 1916. 2nd/4th Royal Berkshire Regiment He is buriedat Laventie Military Cemetery, La Gorgue. Location II. C. 17. He had only been at the front for two months and was in the signalling section of the 2nd/4th Royal Berkshire Regiment. He had worked at Huntley and Palmer’s until January 1916. Brother Tom served in India and they had a sister Dolly. The death of Vic was particularly hard to bear as the short poem with the notification of death in the Standard 8th November 1919 indicates. In loving memory of our dear and eldest son, L. V. Wellman, who passed away on October 31st, 1919, after suffering form gas poisoning. Although just recently discharged, has served 3yrs in France with RE; also won the MM. But to Heaven where he will find rest without pain. From his loving Mum and Dad. The sorrow continued although the Wellman’s were typical of their stoic generation. Std. July 17th 1920 – In loving memory of Lance Corporal D. J. Wellman of 51 Weldale St. Reading – KiA July 16th 1916 – From mother and father, sister and brother. Which that smile hides all the while. You’ll always be in our mind.